Cold Steel Drop Forged Push Knife(36ME) High quality Cold Steel knives, throwing knives, tactical knives. 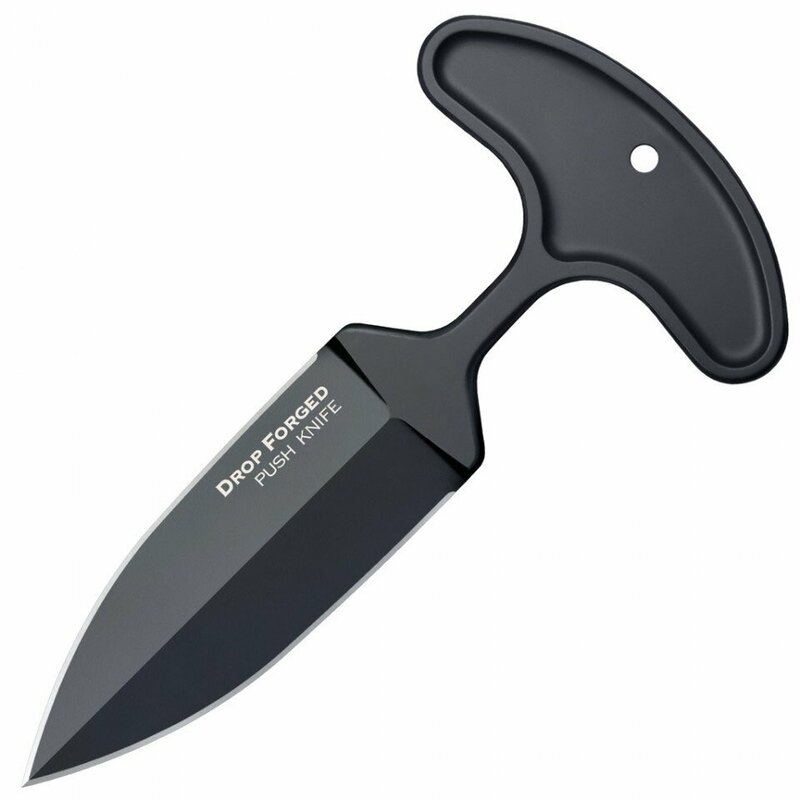 This addition to the Drop Forged Series, the Drop Forged Push Knife, is arguably the strongest push knife on the market. The largest of the push knives in Cold Steel's catalog, it's extremely sturdy and features razor-sharp double edges and a thick, wide, sturdy spear point. Perfect for tactical and law enforcement professionals, you can confidently conceal the Drop Forged Push Knife courtesy of its Secure-Ex sheath with adjustable tension and American-made Ulti-Clip.